NEW FOR 2018 EQUINOX DIESEL! Comfort on the inside and bold style on the outside, the Chevrolet Equinox is sure to turn heads. The 2018 Chevrolet Equinox is loaded with AUDIO SYSTEM, CHEVROLET MYLINK RADIO WITH 7' DIAGONAL COLOR TOUCH-SCREEN, AXLE, 2.89 FINAL DRIVE RATIO, EMISSIONS, FEDERAL REQUIREMENTS, JET BLACK, DELUXE CLOTH SEAT TRIM, LT PREFERRED EQUIPMENT GROUP, LUGGAGE CARRIER PROVISIONS, ROOF-MOUNTED, SANDY RIDGE METALLIC, SEATS, FRONT BUCKET, TIRES, P225/65R17 ALL-SEASON BLACKWALL, TRANSMISSION, 6-SPEED AUTOMATIC, ELECTRONICALLY-CONTROLLED WITH OVERDRIVE and WHEELS, 17' (43.2 CM) ALUMINUM. Get all of this for $27,067. Its a v4 Sandy Ridge Metallic SUV that has room for both passengers and cargo. 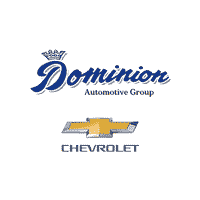 Drive to Dominion Chevrolet and test drive the 2018 Chevrolet Equinox.